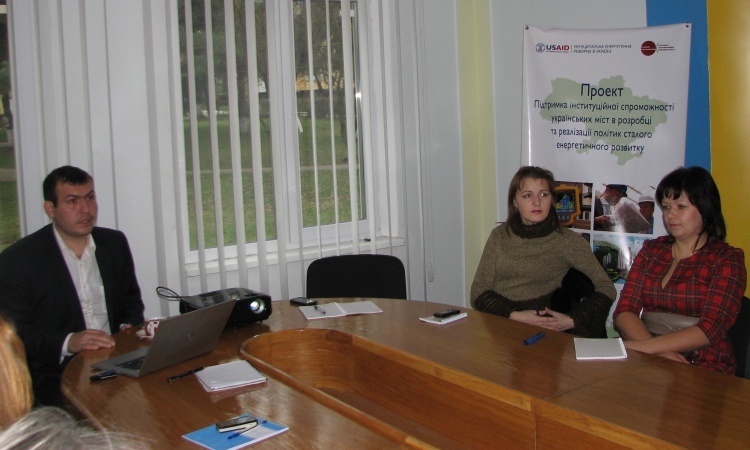 On 27 November was held a seminar for administrative and management personnel of public institutions of Burshtyn on the capabilities of implemented energy monitoring system, collecting and entering data into it. The participants received additional skills and learned the best practices of Ukrainian cities in the field of energy efficiency. The project “Support to the institutional capacity of Ukrainian cities in the development and implementation of policies for sustainable energy development” is being implemented with the support of the USAID Municipal Energy Reform Project in Ukraine. The aim of the project is to reduce Ukraine’s dependence on external energy resources through the development of financial mechanisms for implementation of local energy efficiency projects and enhance the institutional capacity of Ukrainian cities in the development and implementation of policies for sustainable energy development.